Game of Thrones fans might still have a long wait until the next book or TV Season, but there’s some good news to fill the gap while you wait. Nerial, Devolver Digital HBO has today unveiled Reigns: Game of Thrones, a new entry in the smash-hit swipe ‘em up series based on the award-winning HBO TV series. 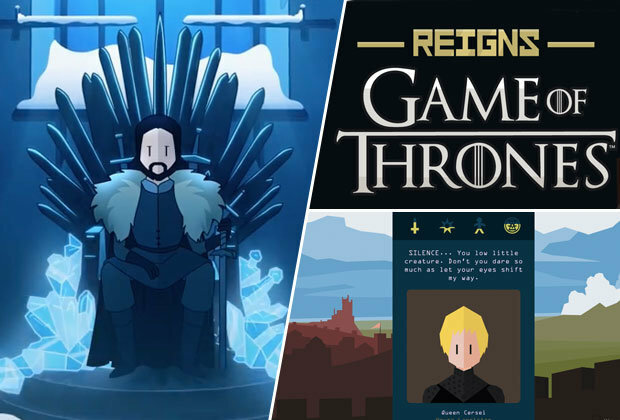 The new Reigns: Game of Thrones release will launch on the App Store, Google Play, and Steam from just £2.99 in October and is available for pre-order now where available. The original Reigns game released back in August 2016 and became even more wildly popular will the release of the sequel Reigns: Her Majesty last December. And for a game which largely focuses on the player acting as the all-powerful monarch who accepts or rejects suggestions based on your swipe of a finger on the screen, it couldn’t be more perfect for a Game of Thrones-themed reskin. Keep reading for everything we know about the game so far ahead of release. Reigns Game of Thrones – What is it? Reigns: Game of Thrones extends beyond the HBO® series and explores possible futures for key characters as seen through the fiery visions of Red Priestess, Melisandre. Players can choose to rule as Cersei Lannister, Jon Snow, Daenerys Targaryen, Tyrion Lannister, Sansa Stark, and more while changing between each king and queen to face challenges and mysteries unique to their story.